This summer, we're looking forward to working alongside three brilliant young people to continue our mission of helping artists and the residencies that host them. Sam Gong is coming on board as our summer intern working on translation projects, Fei Liu continues to conduct interviews in her role of contributing researcher, and Willem Molesworth will be joining the team as development associate to help design and implement our first fundraising campaign. Sam Gong 龚翊鑫 is a new media art enthusiast and zine collector. 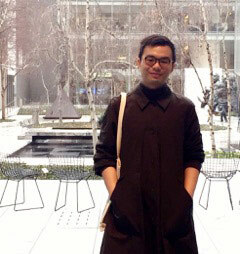 Starting in 2013, he worked as the curatorial and development assistant for Organhaus, a non-profit, artist-run space and residency in Chongqing. In 2015, he completed the curatorial internship at Bangkok University Gallery contemporary art projects between Japan, China, and Thailand. Sam is currently a rising junior at Rutgers University, studying Information Technology and Art History, where he is learning to code, and researching the relationship between technology and fine arts. Fei Liu 刘斐 is an interactive media artist and designer who uses storytelling and satire as social criticism, a writer working on her first tech-noir novella, and DJ at a Brooklyn-based artist-run radio show. She earned her masters degree from Parsons Design & Technology program, and holds a B.A. from UCLA's Design Media Arts. 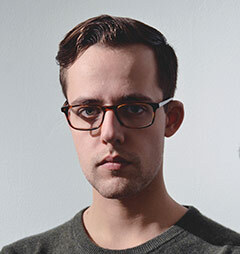 Willem Molesworth is a curator and advisor of Chinese contemporary art. He was formerly the Associate Director of Klein Sun Gallery in New York, and graduated with a BA in Asian Studies from Bard College in 2012, during which he was granted funding to establish a liberal arts initiative in China. He is a board member of the New York-based socially engaged performing arts nonprofit Cue For Passion Collaborative. In 2015, he embarked on a journey with his adopted sister across China. Their experience is currently being documented in a forthcoming non-fiction book.